(BGF) – In order to push forward with our discussion on Improving Minimal Global Standards for Worker Safety, BGF introduce full transcript so that participants can follow ideas presented in the conference. Tuan Nguyen: Welcome. I’m Tuan Nguyen, editor-in-chief of Boston Global Forum. We’re delighted you have joined us for our on-line conference on improving minimal global standards for worker safety and rights. The leader of the conference will be Governor Michael Dukakis, the chairman of Boston Global Forum. 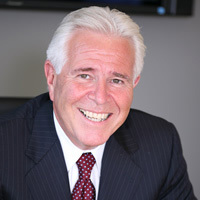 Mike is a three-term governor of Massachusetts, was the Democratic Party’s 1988 presidential nominee, and is currently on the faculties of UCLA and Northeastern University. He also heads the Dukakis Center, located at Northeastern. I present to you Michael Dukakis. 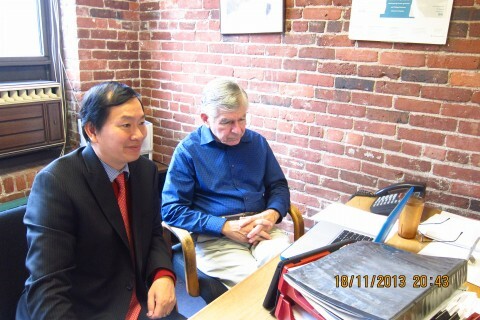 Governor Michael Dukakis: Thanks Tuan and thank you all. Welcome all of you to this unique and very special conference which really launches the work of the Boston Global Forum and I just want to take a couple of minutes to tell you a little bit about the Forum and what we hope to achieve. Obviously, to express our appreciation towards all of you to joining us at this pretty early hour in the morning at least in the East Coast of the United States. The idea behind this was Tuan Nguyen’s, a remarkable person in his own right, who took part in the internet development in Vietnam and has spent a good deal of his time in the Boston area. He started the idea of creating this Forum, which would on the one hand, tap into the intellectual horsepower of the Boston area, and on the other hand reach out to you from many parts of the U.S and all over the world to deal with the specific international issues. It is his idea and we’re very grateful for Tuan and the wonderful collaborative team that you meet in the course of the discussion today to launch this. And thanks Prof. John Quelch who will moderate our discussion, who decided our issue of the year would be this important issue of international worker safety and health. Our hope is that we will have a good and lively discussion, to which many of you know we have well over 100 people who are now part of the conference this morning. A very special thanks, especially to my side and my colleagues from the government, both nationally and in Massachusetts. And we hope that, as a result of our discussion this morning, we can proceed to involve more and more people who are deeply interested in this issue. [We hope] to have a set of recommendations circulating to you and see if we can have a real impact in this very important public policy area. So thank you again all of you who join us and now I want to turn the discussion over to Prof. John Quelch of the Harvard Business School, who first suggested this topic and our opening issue. And we are very grateful for John to do that. We will run for about 90 minutes, and again, we are grateful to all of you to be part of this. So, John, it’s all yours. Prof. John Quelch: Thanks Michael for your leadership on this issue. Now, let me just lay a couple of ground rules that we have a lot of people on the core so if I can reiterate my hope that anyone participating can limit themselves to intervention no more than 2 minutes maximum because of the number of people who want to be involved. Secondly, let me let everybody know that the Accord which is principally the European agreement, the accord members and steering groups have a meeting that overlaps with this meeting unfortunately in Geneva, but Andy York and a couple of other attendees of that meeting are going to do their best to get out of the meeting for a period of time to join us on the call. What I would like to do initially is to have some updates from the representatives we have online on the Accord, from the Alliance which is principally the U.S. retailers and brand groups, and then thirdly from the ILO. I know we have a couple of people online from the ILO which most recently has also initiated a new program for the purpose of improving worker safety in Bangladesh. So what I would like to do is if I can call upon to start our conference, if I can call upon Jeffrey Krilla. Jeffrey is one of the members of the U.S companies alliance. Jeffrey will update some latest programs and challenges. Jeffrey, can you join us? Jeffrey Krilla: Yes, this is Jeff Krilla in Washington. 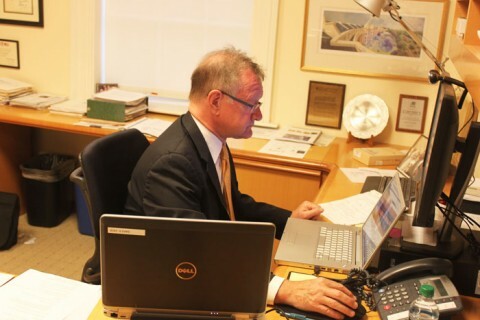 Can you hear me all right, Professor Quelch? Prof. John Quelch: Yes, we can. Thank you. Go ahead. Jeffrey Krilla: Excellent! Well, thank you to you and the Governor Dukakis for convincing this event today and for inviting me to share an update on behalf of the Alliance for Bangladesh Worker Safety. You can be rest assured that we are the alliance sharing the mutual goal improving Worker Safety, and we certainly welcome the collaboration of participants in this Boston Global Forum in our work. I’ve spent most of my career in human rights and development, and I agree with Governor Dukakis that the stake is too high in Bangladesh for us now to work together to make an impact in this important area of public policy. With the alliance created just 4 months ago, the member companies established aggressive targets for improving the Bangladesh ready-made garment industry. Today the alliance includes 26 North American companies. We’ve committed nearly 50 million dollars over 5-year-period to improve Worker Safety. By working with industry stakeholders as well as the Bangladesh garment manufacturers and export associations, the Bangladeshis government, NGOs, members of civil societies and organized labors, we’ve tried to make measurable, sustainable, and transparent fire & structural improvements to garment factories in Bangladesh. We are making progress on this commitment. This pass Friday, we released publicly the most recent list of factories, used by the Alliance member companies, so that we can prioritize and implement inspection. Our list includes over 600 factories representing over 1.1 million workers. We know these factories are also manufacturing goods pretty accorded on fire and building safety, shared suppliers make up approximately 50% of the alliance’s factory list, underscoring the need for combined efforts on behalf of garment industry workers. Additionally, we’ve affirmed our commitment to inspect every Alliance factory and provide safety training to workers and managements in member factories by July 10, 2014. We’ve also launched important initiatives with the goal to work with the parliament. We’ve begun to aggressively develop and implement enhanced healthy standards. We’ve established a separate fund to assist these displaced workers. We’ve pledged over 100 million dollars in low interest access to factory owners to finance mediation when required, and working with Fair Factory Clearing House We are establishing a comprehensive information sharing platform to ensure key stakeholders aware of safety issue and our mediation plan has started to address this issue. Member companies have already shared the list of factories they use with the FSC and this information is available to the public on the BangladeshWorkerSafety.org website. With regards to standards, for our conception, we’ve worked with fire and building safety experts to prepare a common set of fire and building safety standards for Alliance’s garment factories in Bangladesh. As part of the Alliance’s commitment to transparency in collaboration, we presented this dressed standards in advance of an ILO convening meeting in Dhaka on September 7, sharing with the Accord, BGMEA, and the Bangladeshis Ministry of labor employment. Our goal has been to accelerate the identification of a common-shared set of standards which ultimately results in making all factories in Bangladesh safer, and I’m overjoyed at the recent ILO convinced follow-up meeting in Dhaka just two weeks ago let our standards largely aligned. With regards to workers in … specifically, we are working to develop a simple and anonymous means such as a hotline to ensure workers can report safety concerns confidentially and anonymously when necessary. As part of our training curriculum, we are increasing worker understanding of the rights to work in a safe environment, and specifically how and when to communicate safety concerns to management. Obviously, the establishment of safety committee as required in the new Bangladeshi labor law, the workers participation committees and unions will have to assure workers have a sufficient voice to communicate effectively with management. And we intent to similarly work with management to ensure they know the importance of engaging with workers, respecting their rights to organize and having regular and open dialogues on safety. Two weeks a go, we launched a worker baseline survey, which will be used to catch the methodologies in a range of factory convictions. It was launched with a pilot of three factories and eventually it’s been conducted in 27 factories. The survey will be beneficial and ascertaining the worker perception and awareness of factory health and safety risks and help in designing an effective training curriculum. We are also in the process of forming an Alliance’s board of Advisers comprising of U.S. and Bangladeshis experts in a wide range of fields, including experts from NGOs, and labor leaders in Dhaka. We’ve planned to announce this board shortly and we intend to consult with them regularly. In addition, we continue to follow closely the implementation of improve and enhance labor law in Bangladesh. We believe the strength in labor law is crucial, which strongly endorses the National Tripartite plan of action, which includes worker empowerment provisions. We understand the complexity of the challenges surrounding this industry and we’re currently aware of this noticed simple remedy to solve the safety problems facing Bangladeshis garment factories. That’s why the alliance emphasizes in promoting collaboration among all stakeholders. Partnership we’ve established especially with the government and civil societies in Bangladesh will be critical to our successful work. When I visited Bangladesh and met directly with government, worker representatives and other non government representatives, I was encouraged by the sheer sense of purpose that we’ve all been working to improve the life of all workers in Bangladesh by bringing rapid meaningful changes. Hopefully, we can prevent future tragedies by concelebrating and empathizing our individual efforts to bring about real and sustainable progress and I look forward to working with you all both on this call and in the future to improve worker safety in Bangladeshi ready-made garment factories. Thank you Professor. Prof. John Quelch: Jeff’s talked about the details exposition at the moment. Some questions have just come up to me. Maybe I can just ask those of you, and quickly a couple of those. The first is: Do you think it is the plus or minus that the accord and the alliance are working on different tracks? Would coordination between the two and common memberships be more effective at the strategy? And then the second question relates to the subcontractors beneath the immediate factories base are making the final ready-to-wear garments. What if anything can the Alliance do to help ensure worker safety at the subcontractors’ cost and suppliers’ cost to ready-to-wear garment factories. If I can just ask you to response briefly to those two and then we will move on to Nancy Donaldson at the ILO. Jeffrey Krilla: Great! Thank you professor. I appreciate both of those questions. I will go to the first with the ideas of two separate tracks of the accord and the alliance. It is my goal, it is my great hope that we can harmonize our two efforts as closely as possible. I think that recent events have shown that if we are able to largely align our two standards and I think that is critical piece, and the coordination and cooperation on the ground in Bangladesh between both the accord and the alliance has been significant. So I’m very optimistic that these two efforts can be very closely aligned. We’ve talked to the accord about even sharing office base and we’ve had a commitment to a shared body advisor from our side. So we are very hopeful that we can work with the accord very closely, and truthfully on the ground in Bangladesh, people don’t talk about the accord and the alliance, they are just interested in factory safety. So, for my goal, to harmonize our efforts as closely as possible. With regards to the second, the issue of subcontract is shortly significant issue in Bangladesh and alliance members are committed to making sure that unauthorized subcontracting in factories does not occur. This is a core principal of alliance membership and it’s something that we at the alliance take very seriously. So I think our combined efforts is to not only enforce individual companies, regulations and rules, but also to empathize our efforts within the alliance. We lead to lessening the ideas we are stepping out on authorizing sublicensing and subcontracting practices. Thank you very much professor. Prof. John Quelch: Okay, thank you again Jeff. We have an electronic hand that has been raised from Bangladesh from Jyoti Sinha. And, I wonder if we can see if Jyoti can say to us her brief questions. Jyoti Sinha: Hi, I’m Jyoti and thank you so much for giving me the chance to cover the questions I have been researching now. And I’m not in Bangladesh, I’m in Boston. And I have been researching for a couple of months. My question is, with reference to this workshop, factories are catching fire again and again. Where does the spark come from? I mean, I have talked to many people and they said they can just catch fire easily but where does the spark come from? Is it because of electrical appliances outburst, machinery defaults which produces these sparks or something else? Are the garment workers trained to follow the safety to this network? Does the safety program exist in garment factories? Prof. John Quelch: Thank you, Jyoti. I think that’s a practical question. Perhaps Jeff can respond to that. Jeffrey Krilla: Sure. Absolutely. Thank you for the question. I’m here at the office nearby MIT, and I very much appreciate the question. The condition in the factories are dependent on effective fire safety, electrical safety, and structural safety. All these issues that we all are addressing from our effort as well as from the accord. And when you ask about the actual devastation of this fire, the electrical safety is the big issue there. You have machinery sometimes on inadequate electrical system that can cause the sparks. As you’ve noticed, garment sitting around is extremely flammable. So it’s up to all parties’ concerns: factory owners, factory management, and workers to understand the importance of safety in this condition. That’s why a fundamental element of our efforts is training all of these participants, all of the stakeholders, and the importance of their participation in safety program can help this danger can be minimized in the factories. Thank you. Prof. John Quelch: Okay. Next, I’m wondering just before we go to the ILO, I know Rick Darling is on the core. Rick is with Li & Fung, which we all know to be a very important player, and I believe Li & Fung is an advisor to the alliance represented by Jeff Krilla. I just wonder Rick, whether or not, you could make some comments, particularly since we heard about the subcontract issue a couple of moments ago. Are you there Rick? Rick? Not there at the moment. We will try to come back to Rick. Lets then move to Nancy Donaldson and Srinivasa Reddy from the ILO. The ILO as many of you know has committed with a global fund of about 24 million dollars to supplement the efforts of the alliance and the accord. I have “supplement” as the wrong word. They are doing more than just supplementing those other efforts. Nancy, if you are on the core, could you please comment on the ILO initiatives? Nancy Donaldson? Or Srinivasa Reddy? Srinivasa Reddy: Yes, Thank you Professor. Prof. John Quelch: Thank you, Srini. Reddy: Thank you very much, Professor, for having me here on this conference. Prof. John Quelch: You are in Bangladesh at the moment, right? Reddy: I’m in Bangladesh. I’m the country director of ILO in Bangladesh, Professor. Prof. John Quelch: Please tell us what you are doing, a little bit about initiative and how things are going on the ground in Bangladesh. Reddy: Sure. Following the collapse of Rana Plaza, ILO has basically looked at this … (21:41) worker safety to labor rights from an angle that requires structural as well as long-term changes. And therefore we facilitated a dialogue among the three key players: the … (21:57) and worker organizations which result in a joint statement issued by the Tripartite partners with the …..(22:08) And commitments to develop an action plan that will address worker safety and labor rights in Bangladesh. This is the main framework that resulted in national tripartite action plan on building and fire safety and labor rights in the garment sector, which works with all the partners—the government employees and workers in Bangladesh have signed and issued a national action plan on the 25th of July, 2013. And that is the main framework agreement. As most of you are aware, it was…(22:44) a sustainability compact was issued by the European Union, Government of Bangladesh, also joined by the U.S. government, supported by the ILO on the 8th of July 2013. So these three–the joint statement issued on May 4th, The National Tripartite Agreement, and the Sustainability Compact—these are the three main framework agreements that seek to improve fire safety, electrical safety and labor rights in the garment sector. And these are supplemented by the Alliance and the Accord. The issue is that, as Jeff just explained that the Alliance and both our colleagues the Accord and the Alliance will join. Just from the ILO’s point of view, when we looked at all of these—what are the major reasons for lack of fire safety, and lack of worker safety and labor rights? A number of challenges we have noticed in terms of the gaps in the legislation and policy and particularly implementation of the legislation; the weak labor enforcement capacity; the irregularities in safety of building licensing, options of worker organization and collective voice on the factory level; and a number of other challenges. So what we have tried to do is address some of these major issues, we launched a program with five priorities on the 22nd of October. This program basically looks at improving safety in terms of the buildings, inspections as far as repairing the electrical safety of all the … (24:20) factories, which are not covered by the Alliance or Accord will be assisted for inspecting each and every single factory in Bangladesh. There are roughly 3,500 factories, according to the industry sources, are active in Bangladesh. And we are hearing that the both Alliance and the Accord make up about 2,000 factories. So that the rest, whether it be sixteen hundred or two-thousand, will covered by this program, so that every single factory will be inspected for fire and safety. The second most important priority from the ILO’s point of view is to strengthen the whole lab inspection system so that the government takes responsibility for enforcing the labor legislation and ensuring worker safety as well as labor rights. So that is an important priority for us that we are working on. Also another dimension that one of the colleagues raised in the conference is the whole issue of (25:27)… priority for occupational safety and health culture. So we, through this program, will be working extensively to educate and try to work … (25:43) managers on occupational safety, health and workers rights. Also the program looks at rehabilitation of disabled workers. And through this program, we will launch our Bangladesh program. So these are the five priorities the program seeks to address. Through this program, it seeks to address some of the priority of the compact issued by the European Union and directly contributes to the implementation of the National Action Plan in coordination with the Accord and Alliance. Coordination is a major challenge that on the day-to-day basis we are working here just agreeing on how many standards for building inspections is one of the many issues we have been working. And I’m very happy the Accord, Alliance and national initiatives have been able to, more ore less, come to sort of an agreement on how many standards. While the technical teams, currently we are awaiting the final approval from the respective … (26:30) committees. And that’s an important step for us to begin the inspections very, very soon. Prof. John Quelch: Srinivasa, can I ask you—this is John—what is your sense of mood among the factory owners and their willingness to cooperate with these various efforts that are represented by you, the Accord and the Alliance. What’s the mood among the factory owners whom you’ve talked to? Prof. John Quelch: Okay, you don’t think that they are just biding their time and hoping this is going to go away. The ones that you’ve talked to are committed to making change. Prof. John Quelch: Okay. I’ve just been informed that Scott Nova of Workers Rights Consortium now online. He is one of the representatives at the Accord steering meeting in Geneva today. Scott, are you there? Scott Nova: Yeah. Can you hear me? Prof. John Quelch: Yes, we can. Thank you, Scott, for stepping out of the meeting to be with us. We’re at your disposal if you can get an update on the work of the Accord and perhaps even the insights into some of the issues that are being discussed today in Geneva. Scott Nova: Sure, a little bit of background first, if I may. In order to make sure that we don’t repeat the mistakes of the past, it is crucial to understand the nature of those mistakes. And it is vital in this context to bear in mind the fact that brands and retailers have been carrying out inspections focused on worker safety among other issues in their in their contract factories in Bangladesh for over a decade. And yet those inspections in the past have failed to protect the safety of workers. It is also important to bear in mind in the same context that in virtually every factory where workers have died on mass due to fire and building collapses, those factories have been repeatedly inspected under industry inspection programs. So we need to understand why those past programs didn’t work. And there are several critical factors. First of all, those inspections were not independent inspections. They were run by the brands themselves. And the result of those inspections are not available to workers and the public. So, a lack of independence and transparency. Under those programs, the brands are not obligated to actually pay prices to the factories sufficient to make it feasible for the factories to afford necessary renovations and to be able to operate safely. So a lack of sufficient financial support for factories to operate safely. A tremendous lack of worker involvement. The inability for workers to act proactively in their own workplace to protect their safety. And then finally the commitments the brands were making in general, in the context of these past inspection programs to protecting worker safety, were purely voluntary commitments. They were not enforceable by representatives of workers. So if we are going to have some confidence in our ability to protect the safety of workers going forward—to bring an end to these disasters, we must have programs that fill those gaps that correct those deficiencies. And this is very much what the Accord is designed to do. Under the Accord there are generally independent inspections with full public transparency as to inspection results–not cryptic summaries, but the details of each inspection will be made available to the public. There will be substantial financial support from the brands and retailers to the factories to enable them to afford necessary renovations and operate safely. There is a central role for workers in the workplace including the right of workers to refuse to enter or stay in building that they have reason to believe is unsafe. And finally, all of these commitments from the brands and retailers are not voluntary but are binding commitments under the Accord. And of course we want to commend those brands and retailers that have been willing to sign on in a binding way to these vital, new commitments, which is really unprecedented in this industry; yet, at the same time, absolutely necessary if we are going to protect workers. So in terms of an update—and the accord is moving forward—there are now more than one-thousand six-hundred factories covered by the accord—more than one-hundred and ten companies. The inspections—the independent inspections—have now begun. There are a long list of crucial issues that have to be addressed as the program moves forward. Many of those are on our agenda in the meetings this week here in Geneva. But in general, I’m confident—I know others involved with the accord are confident— that we have a strong and effective agreement. We’ve made substantial progress on its implementation. We have a very long way to go, but we believe the agreement will serve to help bring about the fundamental transformation in working conditions in Bangladesh and the physical infrastructure of the industry and in the relationships between buyers and suppliers that are necessary to ensure that no more workers have to die making garments. Thanks very much. Prof. John Quelch: Scott, thank you very much. If I can just feed you a couple of questions that I’ve received. Scott Nova: Let me take the last question first. And leverage is of course financial leverage. Factories don’t exist unless they have buyers. The accord has been signed by many of the largest brands and retailers producing in Bangladesh. And the leverage is that, under the accord, if the factory refuses to undertake the repairs and renovations necessary to be safe for workers—having been offered necessary financial support and backing from brands and retailers to do so—then the brands and retailers will, indeed, must leave that factory. That creates enormous leverage over the factory owners. And we are confident this is sufficient to compel the necessary actions by factory owners to address safety hazards and make buildings safe. In terms of the pace of the implementation of the agreement inspection process, of course we’re all frustrated that it cannot be done faster. We understand that until every factory is inspected—and until all necessary renovations have been undertaken—workers cannot be said to be safe. It is important to remember that it took about 20 years to create this mess in Bangladesh; it was never going to be solved in the space of twenty weeks. It is also important to remember that putting together a genuinely independent inspection program, which is a fundamental departure from past inspection programs, is not an easy task. And I feel confident in stating that it is a task that is tackled with goodwill and aggressiveness by all of the accord signatories; and that we will get there in as timely a fashion as possible for us to get there. Now it is important to note, individual brands and retailers are undertaking inspections in large numbers at their factories. And these do differ from past inspections since they’re being done by qualified safety engineers. And in the context of the Accord, because the brands and retailers understand those same factories will be inspected independently under the Accord with public results, they do have a strong incentive to be meticulous about the quality of those inspections. Those are not official Accord inspections, but they do move the ball down the field. So that’s quite important. In terms of coordination between the Accord and Alliance, the Accord obviously has been open to this from the outset. And there’s been quite close coordination on development of a common inspection standard. We do also, though, have to be mindful of fundamental differences between the level of commitments made by the Alliance versus the Accord signatories, which do create some limitations on the ability of the Accord signatories to coordinate with the Alliance signatories. I’m talking of course of the fact that under the Accord there is a binding commitment to provide financial support, when needed, to factories to enable them to afford fundamental safety renovations. This is not a commitment—a binding commitment—that has been made by the Alliance signatories. So there is a substantial concern about a potential free-rider problem in factories that are shared between the two initiatives where the Accord signatories may end up providing critical financial support to help factories undertake renovations and repairs and retrofitting, and those factories do not enjoy the same support from the Alliance signatories because they are not obligated to provide that support. That is one example of several. So we support the broadest possible coordination, but we have to be honest and frank about the fact that that coordination will be limited by the fact that Alliance signatories have not made the same level of binding commitments that the Accord signatories have made. Prof. John Quelch: Scott, how do you see the role of the ILO as the third leg of the stool here? Scott Nova: Well one critical role the ILO has been playing, and for which we have been very thankful, is the ILO has been serving as the neutral chair of the Accord steering committee, in the person of Dan Reese, the head of the ILO Better Work program. And that has been a tremendous boost for the credibility and effectiveness of the Accord as we proceed. And additionally, understand of course the efforts the ILO is undertaking to provide technical assistance to the Bangladesh government in order carry out an aggressive of inspections at those factories not covered by either initiative. And we are committed to coordinating with them as closely possible in that regard. Prof. John Quelch: We have another question, which is what about victim compensation when there are tragedies. We are not sure if either the alliance or the accord agreements actually provide for that as part of the agreements. Scott Nova: Well, the Accord does not contain obligations specific to compensation specific to families and injured workers in the case of fires. Not because we don’t believe that such compensation is necessary or appropriate, including compensation paid directly by brands and retailers. But it’s not in the scope of the Accord. Of course, the goal of the Accord is to prevent tragedies that will then give rise to a need for compensation. That said, in any instance in which workers are killed or injured in the future, you can bet on the fact that labor unions and labor rights advocates involved with the Accord will be urging brands and retailers, whether they are Accord signatories or not, to pay appropriate and generous compensation to workers and to families. But the Accord does not provide specific obligations in that regard. I would note that among the Accord signatory brands and retailers are companies that have been forthcoming in the payment of compensation, in the case of past disasters, including of course Rana Plaza. And we applaud those brands and retailers that have stepped forward and paid compensation. For doing so, as you know, there has been quite a dichotomy between the brands and retailers that have stepped up and helped families. And those like Wal-Mart that have unfortunately been refused to do so. Prof. John Quelch: Okay, I think we have the question on the line of Selima Akhtar from Impact in Bangladesh. Selima, are you there? Selima? Selima Akhtar: Yes, can you hear me? Prof. John Quelch: Yes, can you just ask your question to Scott? Selima Akhtar: Actually the thing is that [40:46 inaudible] I like to share one thing—is that the Accord, Alliance and National Action Plan, what at the moment Europe and the US. Want to do for the Bangladeshi garment factories. Some of the key points can be translated in Bangla and be shared with …(41:04) because the managers, I see, that they are really struggling …(41:15) to improve their working conditions in line of safety. This is one issue. Another issue is some of the knowledge of the maintenance department is very low. They don’t know how to look at the electric wire. That is the problem. And worker issues—how to control the workers because there are a lot of power generators there power and after the generator is dead. So how to do that—how to handle this issue. I think it will be very good for ILO, because they are focusing on capacity building: one capacity in the government level; one capacity in the maintenance level. How to maintain this sort of problem. And training for the workers. How to make the workplace safe so that they can be safe. Prof. John Quelch: Okay. Thank you Salema. Scott, if you are still there, I think it is the case that obviously the Accord can’t do everything, but certainly the capacity building around the managerial competency and quality on the ground, in the factories, is a key issue. I’ve hear that Scott Nova had to leave us. So let me perhaps turn to either Rick Darling or Nancy Donaldson of the ILO. Rick, are you on line now? Rick Darling: Yes, Professor. Can you hear me this time? Prof. John Quelch: Yes, we can. Thank you. Perhaps I can just reintroduce you as being with Li and Fung. And as I understand it, Li and Fung is advising the Alliance. Your reactions on what you’ve heard so far. Rick Darling: Thank you very much, Professor for asking us to participate, and Governor Dukakis for hosting this event. Li and Fung, as you indicated, is actually an advisor to both the Alliance and the Accord. We actually sit in a fairly unique position. In that while we’ve been in Bangladesh for a little over twenty years, about 40% of the business where we act as a buying agent for retailers and brands—about 40% of our business is to is to Accord members and about 60% is to Alliance members. So we have a unique kind of position in between both organizations. And our focus, really, is less on the differences of the organizations themselves, but kind of where the two organizations are commonly working towards increasing and improving worker safety in the factories in Bangladesh. The ability to bring both groups together in a collaborative way, which is clearly the intent of both groups and is beginning to happen. I thought that maybe I would comment on two of the questions that were raised before that you had asked me when we tried to tie in the first time. And that is kind of the attitude of the factory and what was taking place on the ground right now. While Scott was correct in indicating that independent inspection by the Accord and the Alliance had not fully begun yet and should be beginning shortly. Many of the members of both groups have begun to inspect factories for both fire safety and structural soundness using outside engineering firms, civil engineers, fire safety experts. A whole new level of technical conditions and expertise has been involved over the last six to eight months. About, I believe 500 plus factories have been inspected under that regimen from the Accord who is using outside firms. And a significant amount of factories have been inspected by the Alliance. I will say, as the company that is sitting on the ground, that the first few months of the announcement caused a lot of confusion on the factory-owner level. And owners were unsure what it really all meant. Everything from what standards might look like. And concern that there might be multiple standards as there has been for social responsibility over the years, along with the statements that funds will be available to remediate. And so there was a lot of confusion. But I will say that five months now into the discussion what we are seeing is that factory ownership in general—I don’t want to make a false statement, but in general—is really beginning to understand that the retailers and brands from both the Accord and the Alliance are completely dedicated and serious to improving the conditions in their factories. And that they have become—as we have seen over the past three or four months—I would say, relatively cooperative. That’s a general statement, and certainly doesn’t apply to every situation. And there will and are owners that are still resisting certain aspects of the inspection regimen. But for the most part, what we are seeing is good owners are listening to the audit results, participating in the corrective action plans where worker participation has been requested in those plans. They are endorsing it. And they are moving to correct their problems. Now we’re only at the beginning stage. So I don’t want to sound naïve that things will progress that way. But I will say to the question whether factory owners are endorsing or resisting, I would say in general most are beginning to realize that in order to have a sound business in Bangladesh for the future, they are going to need to address these issues that come up form these audits. And they are cooperating. Bangladesh—not strictly in Bangladesh but certainly in Bangladesh—is the issue of subcontracting. And I want to make maybe two points. One, subcontracting in itself is not necessarily something that can’t be viewed with transparency, and under the protocols and standards of both groups. Authorized subcontracting where factories are making their subcontractors transparent so that those factories can be included in the inspection regimen is an important part of part of the Bangladesh supply chain. The issue that retailers and brands, and certainly the labor groups and all of us on the ground are getting our arms around is the unauthorized subcontracting that’s taking place, where the subcontractor is being used without the knowledge of the buyer or the participants in the supply chain. And that is obviously a more difficult process. The BGMEA has taken a strong stance against its members, which I believe represent about thirty-five hundred factories in that unauthorized subcontracting—if it is found out that it is the case, that they will suspend export licenses for those factories. That has certainly, I think, allowed the ownership to wake up to the problem. It is not a problem that has been solved yet. And I argue that the only way, long-term, it is to be solved is to ensure that there are eyes on the ground and in those factories checking production; monitoring the capacity in a particular factory; reconciling that with the actual goods being shipped on a monthly basis. So it’s a long-term process of working with the good owners in Bangladesh to ensure that there’s visibility to that part of the supply chain. And I think there has been some progress there too. Maybe one other comment, as an advisor to both the Accord and the Alliance, there was initially, I think, some competitive nature that was taking place early months of the two announcements. There are very clear differences, as Scott Nova indicated, in terms of the protocol that sit behind. But I must say, as the advisor sitting in both groups, they are very, very clear that they want to collaborate; that they will work together to create a set of standards that are consistent and in line with the National Tripartite plan. And that collaboration, I think, will only grow as the two groups get their organizations completed over the next few weeks and coming months. And I think the factory owners are applauding that. Now I’m not so sure that that message is really fully understand yet on the ground in Bangladesh. But both the Alliance and the Accord are beginning to do everything they can to communicate that as we are as a participant in between. So while clearly there are huge challenges continuing in Bangladesh on many of the issues that we’ve all recognized now are really critical a safer environment for workers to work and I think there is progress being made on the ground. Prof. John Quelch: Thanks very much, Rick. Let me just ask one question that’s popped up on my screen, which is do you think three years from now that worker safety standards will have improved to a new baseline in Bangladesh and, yes, the rest of the world will be paying a few cents more for each t-shirt, but that won’t be a competitive problem either for individual factories in Bangladesh or for Bangladesh’s garment industry as a whole. Rick Darling: Yes, Professor. That is a very good question. There is no doubt in my mind and in our minds as a company that if we were to look two or three years from today that the bottom will have been raised in terms of safety in Bangladesh. These standards will take time to be implemented. Both the Alliance and Accord have indicated they will have 100% of their factory base inspected by the middle part of 2014. That’s the beginning of that process. Corrective action plan then have to be put in place. Factories obviously then have to address the issues that have been found during that inspection process. But I don’t think that there is any question that if we were to look out three years from today that—I don’t think just in Bangladesh, but a new standard is going to be set for our industry. For the first time, collaboratively across all retailers and brands a new standard is being set for how we view conditions in the factories specifically related to the safety of the workers in those buildings. And I think that there will be tremendous progress in that period of time. The second part of that question, the country has to remain commercially viable. Bangladesh has been built to become the second largest exporter of apparel behind China over the last twenty plus years because it has been a very competitive environment. And while I think everyone involved in doing business in Bangladesh is looking forward to workers continuing to move up the value chain and being able to improve their lives and certainly their safety conditions, I do want to say that the industry needs to remain competitive. I believe that the standards that are being put in place, while there is a financial impact, do not have to significantly diminish the competitiveness of the Bangladesh apparel sector—that many of the standards that are being put in place are just good business, good engineering. And as factories begin to understand how to progress down that baseline, I believe that Bangladesh will remain incredibly viable from a commercial aspect. And in fact, the numbers indicated going into 2014—the early part of 2014, in terms of total Bangladeshi exports—it looks like if anything they’re improving. And I think that’s partly to do with the fact that there is a firm commitment by the Alliance and Accord to stay in that country and work on that problem and ultimately resolve it. Prof. John Quelch: I think we have a question here, if I may, from Robert Ross—Professor Ross. Are you on the line, Robert? Um, not on the line. Let me just read the question, if I may, Rick. It’s a good question. Since your business model calls for splitting orders into multiple factories on a price competitive basis, how can the owners actually invest in safety? Isn’t the Li and Fung distributive model inherently part of a race to the bottom in standards? So, a slightly challenge question there for you, but I think an important one. Rick Darling: Yeah, let me, if I may, clarify a couple of points. Our business model in itself is tied very much to our client’s supply chain strategies. And there is no particular effort to distribute an order across many factories unless the volume of that order requires the additional capacity that goes beyond a key strategic partner factory supply. So there’s no specific attempt to try to move across those factories. Now with that said, of course our role over the years has been to create competitive environments for our clients. And we will continue to do that. That is the role of a buying agent. That said, we are fully committed to Bangladesh. And so we see ourselves as growing our business in Bangladesh, working to improve factory conditions in Bangladesh, and being able to work with those owners or factories that see our relationship and our clients’ relationship as strategic. And I think that’s a big shift and that’s taking place in terms of people rationalizing how they view the move to staying competitive from a pricing stand point. And I think with Bangladesh and everything that is coming together right now is showing is that people are in a much more solid position with their supply chain, with fewer, better strategic suppliers. That I think applies to Bangladesh and applies to other countries around the world. And that’s the movement in effect that we are seeing. So I don’t see us as trying to race to a bottom. I see us as trying to provide competitive supply chains that take advantage of a global network. But I can say that for the most part Li and Fung’s track record has been to remain with its key strategic partner factories for a very long period of time, and to stay in countries that we make a commitment to—for also a very long period of time. So the idea of jumping from place to place, I think is maybe not a fully accurate depiction of our business model. Prof. John Quelch: Right, and of course the size of the Bangladesh industry and those individual factories in many cases is such that simply cannot be done over night anyway. Rick Darling: That’s Correct. That’s Correct. Prof. John Quelch: Rick, thanks a lot. I want to turn back to the ILO component for a moment, if I may. We have, I think on the line now, Nancy Donaldson. And I think we may also … Mr. Gerben De Jong also on the line, and the Dutch government has been very helpful in funding a portion of the ILO initiative. Nancy, are you there first? Gerben. Gerben De Jong: Yes. Good morning. Good day. Prof. John Quelch: Ambassador, welcome. You’re in Dhaka today, right? Gerben De Jong: Yes. Correct. Prof. John Quelch: Can you give us a little bit of background on the Dutch government’s interested in supporting the ILO initiative and how you see things from your view point in Dhaka. Gerben De Jong: Yes. Thank you so much to be here [sic]. It’s started kind of thing first of all the Netherlands … co-Chair of the PSD group—Private Sector Development, the donor group co-chaired with ministry of commerce. At the same time our minister Pluman in the Netherlands, minster of for Development Corporation and International Trade picked up immediately after …(57:30) and the Rana Plaza catastrophe to have discussion with the consumers in the Netherlands, with the grants in the Netherlands, to see also from the government perspective of a donor country how can we support any effort to bring about a transformation in the industry. So we became the co-chair in a group dealing specifically with the issue of the ready-made garment and see how we can assist. So we started to coordinate and share knowledge amongst the major donor countries like U.S.A. Canada,… Japan, etc. We helped to initiate dialogue between those groups—the donor groups and the Accord and the Alliance. And we also became part of a high level diplomatic consultation with the Bangladesh government to keep the reform high on the agenda. We have the opportunity in the Netherlands. We have a program of Development Corporation so then we also started to look at possibilities to assist the whole programs from a perspective where we can contribute financially besides doing coordination working, being part of the policy dialogue with the government and other stakeholders. We are very happy with the ILO playing a very central role between the stakeholders and with …(59:17) including the government of Bangladesh. and they prepared a very well thought-out program. So then it was, for us, easy to support that activity. Again, coming back to the fact that we are active in our program on the crossroads between development corporation and economic corporation. So that’s already a possibility. A ministry in the Netherlands who immediately started to work with parties in the Netherlands with the textile sector, with consumer organizations, with NGO’s to see what role we can play in the Netherlands and here in Bangladesh. So that brought about our involvement in the program. Now on a number of issues that came up earlier and in our discussions with the various stakeholders here in Bangladesh, we believe that at the beginning of November, there were really two very important, crucial issues to be addressed. One, that there is a common standard in fire and building safety inspection between the National Action Plan, the Accord and the Alliance—in other words, the government, the Accord and the Alliance. And we are very, very happy that very recently it seems consensus is there. And it seems that it’s a matter of approving that. I think it will be impossible to explain to factory owners and to the consumers in Europe, and U.S. and other parts of the world, if there would not be one common standard to do this activity in Bangladesh. Secondly, another issue is the issue of the minimum wage. And again we see a lot of progress and we expect that in the next few days there will be an announcement to talk about the …(1:01:34) Increase in the minimum wage. I think this is necessary. There is some research on the living wage in Bangladesh and this goes a long way to address that issue and will also, hopefully, bring to an end the current education loss of factory workers. I believe that with that and the fact that the labor law has been amended that the minimum wage will be adjusted, that there is a required policy dialogue between the government and the other players including the compact, and with joint coordination between all stakeholders, that now everything is in place to go to the next stage and that is to start the factory inspections under a common standard and addressing the outcomes of those inspections. Prof. John Quelch: Thank you very much, Ambassador. The involvement of the Dutch and the U.K. governments in particularly in supporting this effort is particularly good. I think Nancy Donaldson is actually on now. So, Nancy, can we ask you to just give us a brief perspective from your ILO perch in Washington. Nancy: Hi. This is Nancy. Can you hear me? Prof. John Quelch: Yes, we can. Just a minute or two, if you could. Nancy: I actually want to go back to the reparation question. Did you feel that was answered? First, I’m not sure how you want me to come in. But let me just say there is a group working on the reparations and a draft MOU—and ILO is facilitating this—is now being circulated. And so we hope by the end of November, it will be signed. And that all donors—it could be any buyer, manufacturer, or government and others—can begin an international fund. This is an unusual role for the ILO, but we feel it is essential to have credibility for the whole industry and all the partners for that to be addressed. From the Washington perspective, we are working with our U.S. partners. The U.S. Government has been very involved in this, as well as the partners that have been on the call so far. And we think this is an important initiative—the combined effort to develop some new precedents in these enormous supply chains in general. And we hope, Professor, that you and many others will continue to study this closely and that it will be a collaborative opportunity to understand. I do want to say that some of the discussion has not touched much on the role of the worker or much on the role of the government. And we think that long-term sustainability can’t just be relying on the good leadership of corporate partners. It needs to be a true partnership to change the way that business is done, in the sense that it endangers the workers and the workers can’t make a living. Now, I think probably everyone knows that the board, to decide on a rise of the minimum wage, has taken a vote and a substantial rise in the minimum wage is going forward. That’s a very important component for having a sustainable and successful export industry in Bangladesh. So I’ll stop there. I’ll see if anyone wants to pick up anything in there. Prof. John Quelch: Nancy, that’s terrific. And thanks for the update on reparations, which I think we hadn’t really covered in detail. I think its fair to say that Primark has taken a particular initiative unilaterally in terms of compensation for Rana Plaza victims. And yet at the same time that particular issue seems not to have received quite as much attention as the overall worker safety issue, so its good to know the ILO [inaudible]… on that topic. I think we may be fortunate at this point to have on the line Congressmen Sander Levin from Michigan, who has taken a strong interest in this issue of worker safety, not just in Bangladesh but beyond. I wonder if Congressman you’re on the line. Sander Levin: I am. Can you hear me? Prof. John Quelch: Yes. Thank you very much for taking time to join us. I’m not sure if you’ve heard all of our conversation so far. Sander Levin: I have, I have. Thank you. Prof. John Quelch: Your thoughts on what public policy makers can do, or should do, in this arena would be very helpful. Sander Levin: Thank you very much. No, I have been privileged to hear all of it except the opening minute or two. I don’t know if my colleague George Wilder is on also. He has been so instrumental in bringing attention to these major issues in Bangladesh and beyond. So let me just say a few words having had the chance to listen to the commentary. First of all, congratulations on holding [inaudible]… Secondly, I think its clear that all of us want there to be success. 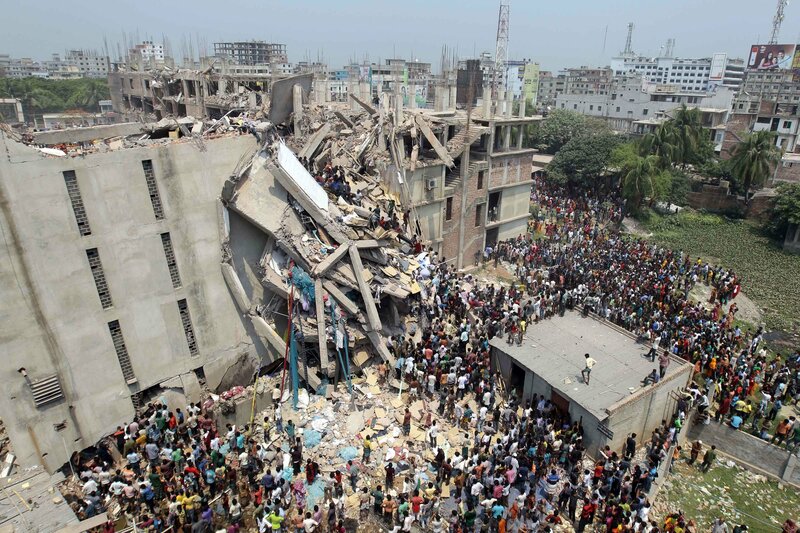 We realize the importance of the garment industry to Bangladesh and millions of workers. It’s the second largest exporter and how important it is to trying to build the [inaudible]…I do think, also, there is a historic opportunity here for all parties who are involved in this to join together. This hasn’t really happened before. We need globalization to grow to build standards into globalization, including a basis on which everyone competes in the impact on workers. I think there is a good chance in terms of the safety conditions for workers and the steps that have been taken will mean some major change. I also, though, want to address a critical component that I am afraid is less certain for success. I think it’ll be resources the factory could be affected, the structure of conditions, [inaudible]…were so weak that it led to hundreds and hundreds of people dying unnecessarily. That will be addressed [inaudible]… earlier. I think the bar when it comes to safety is likely to be raised. I think there is less of a certainty, more doubt, that that’s going to be true in terms of workers having a living wage. So, I am concerned. If the workers had been represented at Rana, they didn’t want to go there. In the time I was there for a couple of days some months ago some of the workers made it clear they didn’t want to go in there. They had no representative and they essentially were told “go in or you’ll lose your wages”. And I really think there’s the basic issue here as to whether if workers are not going to be able to be represented, to have a voice in the workplace, whether with 6,000 factories there’ll be adequate [inaudible]… so that the bar will be raised and very importantly whether people will be able to make a living wage, mostly women. History in the U.S. Government as we know was that until workers had unions, until they had a voice in the workplace, they continued to work in unsafe conditions. Also, they didn’t have a living wage. In 2007, some of us worked to get a basic labor standard, worker rights standard, into trade agreements negotiated by the United States. And I discussed this with the ILO, I discussed it with business groups, and with work groups when I was in Bangladesh. For example, this system of worker of participation committees I think really raises the challenge. When I met with the workers all of them, without exception thought that this structure of workers participation committees might give workers a chance to have a voice but in the end would likely stand in the way of their being able to form unions. I’ve looked over the labor law improvements today, there are some. And I think the basic question remains: are workers going to be able to be represented, to choose their representatives, in the workplace, 6,000 factories, until workers really have a right to organize and be represented? I’m afraid that the conditions in some respects will improve but in terms of a living wage, that may not happen. And let me make two quick points. In obviously one of the factories we added up how much, if, how much the labor portion of the product, how much was represented by the labor portion of the product, and it was just a few percentage points. And I think that Bangladesh can compete. They’re way below the standard in other countries. If they can compete with paying a living wage, the minimum wage is a start that can increase. But I really think there needs to be more attention paid to giving workers a real opportunity to have a voice. I think its rather interesting in this dialogue, I’m not sure there’s any or very many representatives for workers in Bangladesh, but they need to participate in all of these discussions. They do have a representative, as I understand it, in the Accord but they don’t in the Alliance and I think that’s also a defect. So I very much appreciate the chance to participate. I think there’s the real opportunity for new standards of progress but I think we need to be realistic whether if workers don’t have an assured opportunity to have a voice in the workplace whether 5, 6, 7 years from now conditions in terms of the lives of workers there will really change. Prof. John Quelch: Congressman, thank you very much. I think we all appreciate the points you’re making that the living wage and worker representation is the bigger issue beyond workplace safety and for workplace safety initiatives to be sustainable perhaps these other issues will have to be addressed. There is one question that Professor Ross has submitted to me, if you’re still on the line, if you could answer it. What’s the status of the amendment the House passed to the Defense Authorization Act requiring our United States Military to prefer Accord signatories as sources for their stores? These would be the military PX stores around our military system. Congressman, are you still there? Sander Levin: Yes, I think we are not sure because the Defense Authorization bill has an uncertain fate. But [inaudible]… hopes the bill will be brought up. That was Mr. Miller’s amendment, I believe. So, I don’t know, George, if you’re on. Prof. John Quelch: Let’s check, Congressman Miller are you on? Miller: Hi, this is Richard Miller. Congressman Miller got hung up flying in with bad weather through the mid-West, so he is not on this morning and asked me if I would sit in. Prof. John Quelch: Can you just give us a couple of quick minutes. We’re up against the clock here now, Richard. A couple of quick reflections on perhaps addressing that point regarding the PX sourcing from only Accord signatories. Richard Miller: Correct. The amendment on the Defense Authorization Act, which passed in the House and has not yet been taken up in the Senate, is something that is enjoying opposition from US retailers and some in the military exchanges. And its been of some concern, I think, to the Congressman that this effort, which is to sort of raise the floor through using government procurement policy, is something which is worthwhile pursuing. So, for example, I think we have a good previous example where Senator Harkin had advanced legislation to prohibit the import of products that were produced with child enforced labor a number of years ago and this has had a resounding impact. And I think the distinction between the Accord and the Alliance, at least from the Congressman’s perspective, should not be blurred because I think that the Accord is actually going to establish a different model moving forward in these responsibility programs and in particular because it is equally governed by unions and by brands and retailers. I can’t offer much further until we see what happens in the Senate. But it is clearly on Congressman Miller’s radar to move that legislation. The second, and I guess last point I would raise, has to do with whether and how we use our own domestic trade policy. Congressman Levin has been a significant leader in his efforts, I think, working with the US Trade Representative in using the limited tool we have under the Generalized System of Preferences to send a clear signal that there has not been sustained improvement, or even significant steps moving forward, in terms of improving minimal internationally recognized labor rights. And so I think the United States efforts both working with the European Union, as part of the Compact, and coupled with the Dutch Government and others and the ILO are making it very clear to the Bangladeshi Government that their labor law reforms have further to go. That the reforms that were made this summer were very, very limited steps and do not [inaudible]… recognize labor rights. And so I think that’s been Congressman Miller’s focus. Steve Greenhouse: Yes, can you hear me? Prof. John Quelch: Steve, are you with us? Prof: John Quelch: If you could ask Jeff your question. Steve Greenhouse: Yes, this is for Jeff Krilla. Scott Nova when he was on a half hour ago or so raised a question that the Alliance members might end up being free-riders because the Accord members have made binding commitments to finance needed safety improvements and the Alliance members have not made such formal binding commitments. 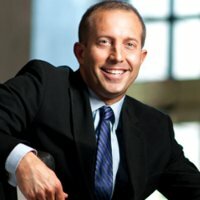 So, I just wanted to ask Jeff to respond to Scott Nova’s concerns, the Accord’s concerns, about this free-rider notion. Scott Nova: Sure. Thank you for the question. I was very surprised to hear that. I think the very nature of the Alliance and the commitments our members have made have included a significant commitment of funding and access to capital for factory owners so that, through this shared responsibility, we can all address the necessary remediation. So, I am very convinced that our effort and our structure addresses those concerns and that need adequately, in fact more than adequately. Our members have put forward a $100 million in capital access to factory owners in terms of low interest loans. I think this is fundamental to our efforts and I think its something we at the Alliance are very proud of. And I think that in combination and coordination with the Accord we address the same problem and the same challenge in very aggressive ways. Thank you. Prof. John Quelch: Thanks Jeff. I think it is probably worth noting that interest rates in Bangladesh are pretty high by our standards here, so the availability of loans is not without merit. We have on the line also Bruce Levin from the United States Department of State and also Carol Pier who’s acting Deputy Undersecretary for International Affairs at the Department of Labor. I wonder whether or not Bruce first and then Carol you could comment on what kind of assistance or push can come from your respective departments to support the overall effort here. Bruce. Bruce: Yes, can you hear me? Prof. John Quelch: Yes, we can thank you. Bruce: Great. Thank you. Well in terms of assistance that can mean one of two things. It can mean, well, actually three things: technical assistance, it can mean just the push, and it can mean financial assistance. We’re doing some of all of that. I’ll let the Department of Labor describe what they’re doing because the amounts are larger. For the State Department, the principal focus of our financial assistance to Bangladesh has been through programs that help support the organization, training, and technical advice to independent labor unions. We certainly support, through the ILO, efforts for the Government to increase their capacity to enforce their labor laws. But we work very closely with the Department of Labor and with other international partners on the ground in Bangladesh to coordinate our assistance to make sure that the necessary funding is there to provide technical assistance. The main question though is what’s at stake here is the future of the industry and it is fundamentally the responsibility of the Government of Bangladesh to ensure that the industry is adequately governed so that it doesn’t become the bottom of the race to the bottom. The Tazreen fire and the Rana Plaza collapse, I think, were game-changing events. They changed attitudes in Bangladesh and certainly we have a much more productive dialogue with the Government now. The tools that we have are relatively limited. It goes back to the old saying “you can lead a horse to water but you can’t make them drink”. We’ve been talking to the Government of Bangladesh for years about these kinds of problems and it was only after these recent tragedies and the subsequent suspension of GSP privileges that we really started to see the traction. But now that its there we want to work cooperatively and as quickly as possible to make improvements. The GSP program for the United States, as many of you know, does not actually apply to garments, and so its kind of a crude instrument to use as a form of leverage. But what we have done is [inaudible]… the ILO and with the European Union to ensure that we’re all reading off the same script and that the script is doable and realistic and firmly rooted in international standards. And that is mostly reflected in the Sustainability Compact, which is a four party agreement between the Government of Bangladesh, the ILO, the European Union, and the United States. A lot of what’s in there reflects the unilateral or bilateral discussions that the United States has had with Bangladesh, but its also a common view. And by going forward in that way and having the Bangladesh Government take ownership in the way that they did I think we’ve set ourselves up for a complete change of direction and there’s a reason to be optimistic that we’ll make progress. Thanks. Prof. John Quelch: Okay. Thank you Bruce. Carol, can you please make a couple of quick comments, please, on what the Department of Labor is doing. And then we have a couple of questions from Sara Hossain from Bangladesh and Liana Foxvog. Carol? Are you there? Carol Pier? Okay, I think we can’t get Carol at the moment. So let’s go, if we may, to Sara Hossain who is with Bangladesh Legal Aid and Services Trust. Would you like to ask a question, Sara? Or make a comment? Sara Hossain: Yes please. Thanks very much. Can you hear me? Prof. John Quelch: Yes. Just make it as quick as you can, if you could. I’m sorry. We’re up against the clock. Sara Hossain: Sure. Yes, of course. There were two questions. One was really about the importance of what’s happening internationally being communicated on the ground to workers. And there’s still quite a massive gap on that front still, I would say, despite what’s been said on the behalf of the Alliance. I think the speaker, Scott from the Accord, was maybe a little bit more realistic about mentioning the fact that there needs to be that kind of communication on the ground and there needs to be an understanding of what actually is binding and what isn’t binding. And there are initiatives by Bangleshi’s on the ground, labor rights organizations, and human rights organizations to create that interface. And I think there needs to be some recognition of how critical that is. And the second issue I wanted to raise is connected to that, that right now there are still, you referred to the question of reparations, the ILO speaker also spoke on that, but the process which everyone has rightly praised is also a process that is taking a very long time to come into being. The Bangladesh Constitutional Court, the Supreme Court, is looking into the issue as well but we are concerned why the Government isn’t reporting to that Court on what the schemes are that are being discussed internationally because I think that this can’t just be done internationally and not known about on the ground. The situation that we’re facing is there are women workers who have not only been injured in Rana but have been thrown out of there own homes because they are no longer able to earn a livelihood, who are facing situations of destitution, and who, other than the payouts that were made in the immediate aftermath and then some subsequent small payments that were made by one of the Brands, by Primark, have got almost nothing in hand. So, I think that reality really does need to be addressed. And rescuers, very courageous again, Bangladeshi’s of extraordinary courage who went into the tunnels when the building collapsed and saved lives are now suffering from PTSD and are completely forgotten. They’ve received 1,000 Takas, less than $10 for recognition of what they’ve done. And I think that they need to be built into the schemes we’re thinking about. There may not issues of legal liability anyone can assert regarding them but they’re clearly our moral responsibility. Just a final thirty seconds on the question about the Harkin Bill. I think many people may have forgotten the reaction the Harkin Bill had in Bangladesh. One of the reactions it had its impacts eventually but it had to be responded to on the ground in Bangladesh by saying if you imposed it in the way it was initially being considered then it would simply lead to children not just being thrown out of the garments industry but being left infinitely more vulnerable. So, any kinds of responses that come with simply wielding a stick and not thinking about the conditions on the ground of women workers in an industry which has been transformative for their lives are not the kind of approaches that many Bangladeshi rights activists want to support. We’d like to see one that puts Bangladeshi’s at the center of the process and considers how the strategies and initiatives that are being concerned will protect the rights of Bangladeshi workers and strengthen an industry for which workers have contributed to creating its extraordinary success. Liana Foxvog: Yes, thank you Professor Quelch. My questions are for Jeffrey Krilla and also a follow on Sara Hossain’s comment about the dire situation of poverty and access to adequate health care for the victims. If Mr. Krilla could comment on whether the Alliance is working with member companies to encourage their participation in the Tazreen and Rana Plaza compensation efforts given that several of the companies are not yet participating in the compensation process being developed by several other companies together with global and Bangladeshi labor unions in which a formula used in earlier tragedies is being used. And this follow up question also for Krilla was relating to whether Alliance members are providing direct funding for safety upgrades in factories, not including loans. Prof. John Quelch: Jeffrey Krilla, are you still on? Jeff Krilla: Yes I am, Professor. And thank you for those questions. First I’ll address the issue of compensation and I will say, similar to the Accord, the Alliance does not have a structure of obligation of a specific commitment or compensation for our members. We, much like the Accord, address the root problems, the root causes, and our hope and our strong belief is that our very aggressive action plan will avoid Ranas of the future. And that’s our laser beam focus at this point. We feel that straying from that action plan and straying from that aggressive strategy at this point is not in our best interest and not in the best interest of the workers. So we’re fully committed to that. The second point about the idea of being able to provide resources to factory owners is also, as I said earlier, fundamental to our efforts. And it is our belief, in the sense of the shared responsibility of all stakeholders, that our brands can provide low-interest loans. As the Professor said earlier, interest rates are quite significant in Bangladesh, even if factory owners are able to get loans. And we think that offering low-interest loans, $100 million worth of capital to these factory owners not only showcases our efforts and our responsibility but also the shared responsibility of the factory owners. So, we’re committed to this, we think it’s a very robust effort and we’re very proud of this aspect of the Alliance’s efforts. Prof. John Quelch: Okay, thanks Jeff. Now, we’re running over a little bit, let me tell you what we’re going to do. We have Joanne Goldstein, who is the [inaudible]… in the administration in the Commonwealth of Massachusetts, who I think is going to talk a little bit about the procurement issue. We raised that with respect to military PXs but also at the state-level there may be something that can be done there. Then secondly, Carol Pier would like to try and get in again from the Department of Labor in Washington. We will then go to Bob Kuttner for some closing reflections and comments. Bob being the labor expert who’s the co-founding editor of American Prospect Magazine and a long-time student of worker issues in the US and globally. And then finally, Mike Dukakis for some wrap-up comments. So, Joanne, are you there now? Joanne Goldstein: Thank you. I’ll be very brief. So thank you for including me in this. One thing that I think has not yet been mentioned that is a helpful tool in this concern is the use of states, particularly those states that are receptive, to address the issue of how garments and other materials are made in state procurement contracts. There are a number of states and communities that have responsible employer ordinances which can be included to discuss procurement. The other thing we’ve been doing in Massachusetts is figuring out ways to indicate to large businesses that either want to locate here, expand here, get tax credits, worker training funds, etcetera that we expect their supply-chains to be in compliance as part of that process to do business here. So, that’s something to think about. I realize that states have less buying power than the federal government, but it can have an impact as well. Secondly, I would point out that we, in the United States, have issues with subcontractors as well in all kinds of industries. And I think a number of states, with the help of some worker centers, have developed ways to figure out if improper subs are being used. And some of those protocols may be helpful in figuring it out in Bangladesh. And finally, with respect to the comment that was made much earlier about worker involvement and the need for workers in these Bangladesh factories to be part of the process, we have been visited by some workers from Bangladesh through local worker centers and we get reports that has been an incredible empowerment opportunity for them to feel supported, to see how workers here in the United States who are activists function, and that has been very helpful. So I offer those suggestions. Prof. John Quelch: Thank you, Joanne. I’ve been advised that Governor Dukakis has to leave at 9:15 so we’re going to hear from him now and then take the other couple of speakers immediately after. Can we put Governor Dukakis on please? For a couple of minutes? Perhaps, while we’re waiting, Carol Pier would you like to make a quick comment? Alright, I think we’re going to go to Bob Kuttner. Sorry everybody for the jumping around. Tuan Nguyen: John, John. Mike can talk now. Prof. John Quelch: Alright, Governor, could you give us a couple of minutes? Governor Dukakis: I’ve got to go off and teach the next generation of public servants in about five minutes. First, my thanks to you John for a great job of moderating this discussion, which I found fascinating. And my thanks, obviously, to everybody who participated in this. Its very exciting and certainly for us who are [inaudible]… a great way to start. Lots of questions, obviously, which I hope we can continue to discuss with you during the course of the next few of months. We’re planning a second conference in February, where we can come back together again and begin to get into the nitty-gritty of what’s needed out there. My own sense is that there may be a lot to be said for internationalizing this discussion and thinking seriously about international standards, not just for folks in Bangladesh, but folks all over the world. But, in any event, very grateful to all of you and John, particularly to you, for doing a great job of getting us all together and focusing us on this issue and doing just a terrific job of bringing people into the discussion. My thanks and we’ll be in touch. Prof. John Quelch: Okay. Thanks a lot Governor. Break a leg in the classroom, not literally though. Bob Kuttner, would you like to come in at this point? 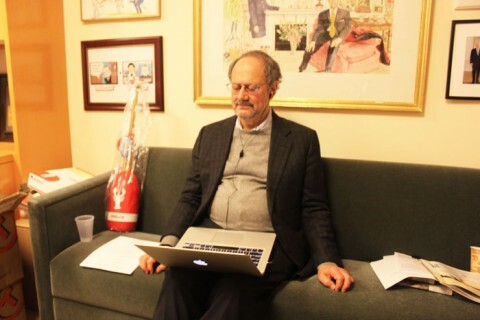 Robert Kuttner: Thanks very much, John. Thanks for convening this. It’s been a terrific discussion. I think Nancy Donaldson and Sandy Levin alluded to an issue that has been mostly at the periphery of the conversation, namely independent work organizations that enforce the worker rights where the worker who speaks out doesn’t risk getting fired. Unions in the home countries of the Accord and Alliance brands and in Bangladesh worker safety and health concerns logically have to lead to greater worker rights, including the right to bargain collectively to raise not just safety standards but wages. The brands, especially the US-based brands, [inaudible]… resisted unions at home hope that it can stop at improved worker health and safety. The obstacles to success in this potential breakthrough are in the traditional dynamics of the global garment industry and we should keep those in mind. They include: factories kept on a very short lease by the brands, short-term contracts, low margins, pressure on factories from the brands by intermediaries such as Li and Fung to keep costs as low as possible, competition among desperately poor countries for market share, and with the brands at a couple of levels removed so that they can disclaim responsibility when tragedies occur. Now, there’s a potential to change all of this. It’s a balancing act that the brands are now saying we still want the low wholesale prices but please stop killing workers and we are willing to contribute to safety. What’s hopeful is that we have the beginning of a model that goes beyond traditional corporate social responsibility, public relations and damage control and translates to mandatory standards with independent enforcement, brands taking responsibility for their supply-chains, and the ILO playing a much more central role than the traditional aspirational role that it has often played, sponsoring labor rights conventions that are weakly enforced. Consumer pressure, by itself, is a very slender read because most consumers, when they go to buy a garment, don’t have upper most in their mind factory standards. But after Rana Plaza, concern for reputational damage has produced the beginning of a breakthrough and the power dynamics have changed and real leverage was produced, at least in the Accord, where unions play a formal role and commitments are contractual and independently monitored. On the ground worker rights, enforceable funding commitments, and the brands having legally binding promises, these will be central and we will just have to see whether health and safety concerns, which are a very good start, translate into organized worker’s rights. Prof. John Quelch: Great points. Anyone online wish to comment on Bob’s summary remarks there? And, if not, we’ll ask Carol Pier to step in at this point, if she’s there. Carol, are you online? Carol Pier: I am, can you hear me? Prof. John Quelch: Yes, go ahead please. Carol Pier: Excellent. Thank you. And I apologize, I was having technical difficulties before. Prof. John Quelch: Don’t worry. We’ve all experienced that today. But we’ve only got a couple of minutes, so please go ahead. Carol Pier: Absolutely, I’ll talk fast. I think the points that have been raised with regard to the importance of respect for worker’s right to organize and bargain collectively are really key. Richard Miller raised those, Representative Levin raised those, and several others have and that is a critical part of our approach. We’re working very closely with the Office of the US Trade Representative and the Department of State in the process of trying to monitor and facilitate the implementation of the Bangladesh Action Plan, which we developed as part of an inter-agency process after we announced on June 27th that we were going to be suspending GSP benefits for Bangladesh. And that is an instrument that has been particularly useful to us as we work with the Government and with the workers on the ground to try to get the changes that are going to be necessary to ensure that workers truly have a voice in the workplace. The Action Plan includes a number of elements related to freedom of association, including that the Government enact and implement in consultation with the ILO labor law reforms that truly address key concerns related to freedom of association and collective bargaining. Several folks referred earlier to the recent labor law reforms which were a step forward but do not come close to being what is needed to bring the law into conformity with international standards. As part of that effort the Department of Labor has just awarded a $2.5 million grant, $1.5 million to the ILO for capacity building for the Government on fire and building safety issues and also $1 million to the Solidarity Center for trade union capacity building because obviously, even if you have great laws on the books with regard to freedom of association, its critically important that the workers and civil society organizations on the ground have the capacity to take advantage of those and to try to exercise the rights that they have. So, we have, awarded that amount of money to the Solidarity Center, and we’re going to continue our efforts as an inter-agency process to help with the implementation of the Action Plan. As part of that, we have coordinated with our embassy in Dhaka. We’re in the very early stages of going through the bureaucratic process of trying to post someone from the US Department of Labor on the ground in Dhaka and Ambassador Mozena is very supportive of that. And that would simply expand on the ability of our embassy to work on the issue of labor rights on the ground, obviously, it’s a huge portfolio in that country and so we thought this would be a good opportunity to post one of our people in the embassy. Hopefully that will happen some time next year, obviously things move a bit slowly with the Government but we’re very committed to that, as is our Embassy. Prof. John Quelch: Carol, thank you very much indeed. I think it’s impressive and interesting to us how many departments of the US Government are now thinking about what they can do to help improve conditions in Bangladesh and beyond. I think I’m going to bring the event to a close at this point. I would like to, again, thank all of you for your patience with the sometimes quirky electronics but I hope, on reflection, all of you will feel the last 90 minutes was a good investment of your time. And I’d like you to think that we may have done some good on behalf of the victims of Rana Plaza and the workers of Bangladesh, and the garment industry, and beyond. So, I want to thank you all again for participating. Please send us any comments or reflections, either on the content of the session, how it could have been improved, any recommendations you have for us and the Boston Global Forum going forward with additional sessions of this nature. We very much hope that this will be the first of several interactions, rather than just be a simple one-off event. So, thank you all again. At this point I’ll conclude the conference, thank Governor Dukakis for his leadership and sponsorship, my colleague Bob Kuttner for his excellent closing remarks, and all of you for your thoughtful and provocative sometimes but thoughtful always comments during the session.